The NFTA Gets Its PINK On! 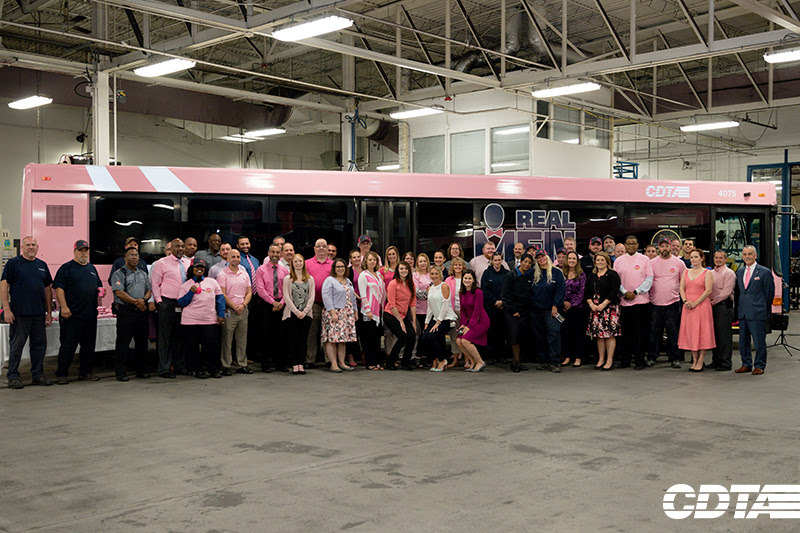 On Monday, October 1, the NFTA held a media event outside its headquarters in downtown Buffalo to recognize its partnership with Roswell Park Cancer Institute and the initiative to turn Metro's October passes PINK in support of breast cancer awareness. This collaborative effort is to help acknowledge the importance of annual mammography for early detection of breast cancer. Donations to the RMWP campaign can be made here. Gov. Andrew Cuomo signed legislation that allows pets to be brought aboard any public transit service during an emergency. During Superstorm Sandy, many pet owners refused to evacuate their flooded neighborhoods because they had no way to transport their dogs and cats, the governor said. “For many New Yorkers, their pets are members of their families, and no one should be forced to abandon them in the event of an evacuation,” Cuomo said. U.S. Senate Minority Leader Charles E. Schumer and U.S. Senator Kirsten Gillibrand today announced $2 million in federal U.S. Department of Transportation funding for the Rochester Genesee Regional Transportation Authority (RGRTA) to help construct a new $10 million Advanced Environmental Service Building, which will both support charging of new, low-pollution electric buses and use reclaimed water to clean buses to reduce the environmental impact and lower operational costs. Public transit riders across San Diego County can board buses and trains for free on Tuesday, thanks to the region's first-ever Free Ride Day. San Diego City Councilwoman Georgette Gomez, who chairs the Metropolitan Transit System board of directors, said at a news conference promoting the event on Friday that more transit ridership would mean cleaner air, savings on gas and parking costs and a more relaxing commute. "I want to make sure that we are changing the culture in San Diego ... that transit is a real choice for San Diegans," she said. Enrich your experience at conference by downloading this year’s event app, which provides easy access to the conference schedule, session information, speaker bios and much more from your smart phone or device! Please see instructions below to download the app. Search for EventsLite in the App Store or go to this link http://bit.ly/17Mk3Ib. Enter nypta for the event code. Search for EventsLite in Google Play Store or go to this link http://bit.ly/1hjiC3E. Have you seen our full schedule yet? You can mix and match or stick with one track. There's something for everyone at the 2018 NYPTA Conference. 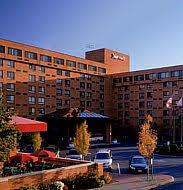 Don't miss the Public Transportation and The Mobility Movemement, October 23-25 at the Albany Marriott!